Do you love sarees? 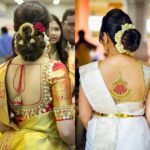 Then you might have noticed the blouse trend that is creating waves in the saree fashion. 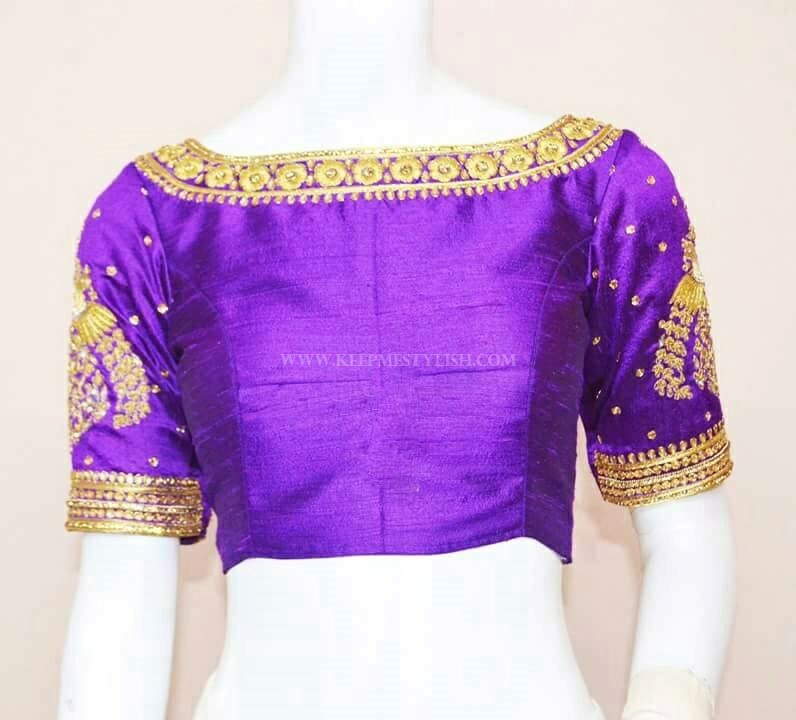 Blouse is no more a mere supplement layer that you wear with sarees. 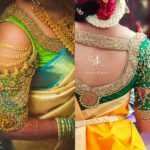 In fact the saree blouse style has evolved so much that it would be utterly boring to wear without any embellishment of sort. 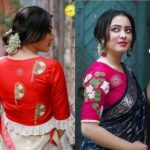 While there are different techniques clouding the fashion market to make your blouse look loud and good, one form seems to be catching the attention of everyone. So it is no surprise that we see this blouse style being spotted everywhere. Yes, we are hinting about the most gorgeous maggam work blouses that have been captivating the minds of saree lovers right now. Though the beauty of maggam work is widely known for a long period, for some reason, its glory has attained this peak this year. Have you got a chance to attend any recent wedding? Or did you happen to see any wedding related photos off late? Then you would have spotted these maggam work blouse pattern garnering more attention than the actual silk saree it was paired with. So with all these hype from us, you would have been wondering what so special about this work! 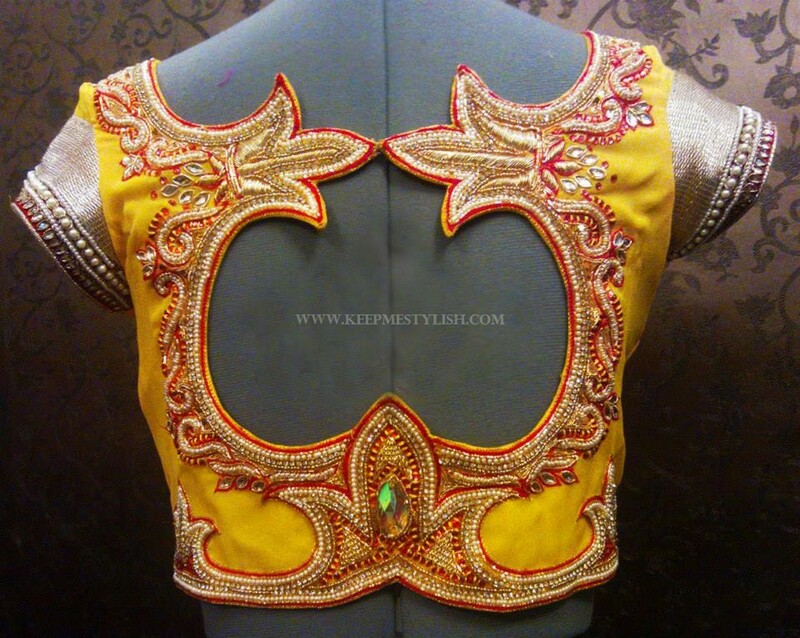 Maggam is a kind of embroidery work done on rich fabric to increase its opulent look further. Bold patterns or images would first be drawn ton the fabric, and then these will later be embellished using zari thread, pearls, stones and other eye catching glittery things. 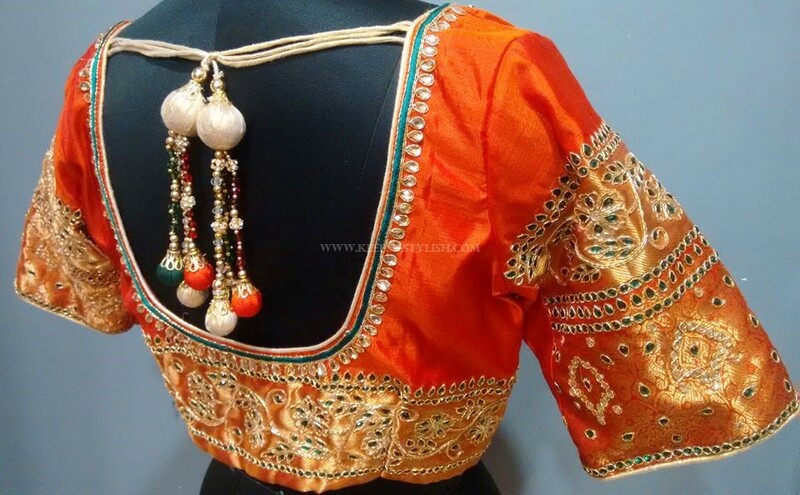 The end result, you get a blouse that is spell binding to wear with your expensive silk and designer sarees. 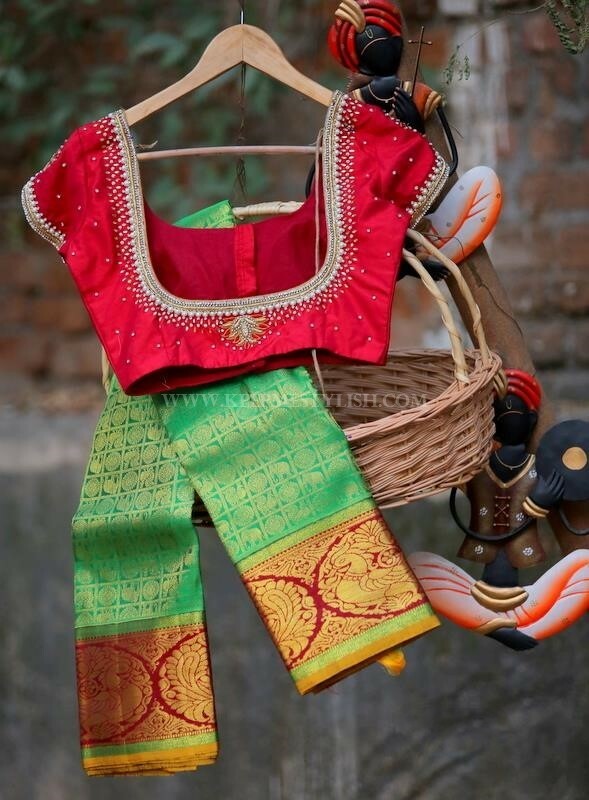 Okay, you might not get the complete beauty of the maggam work blouse till we show some real models here. Now move ahead and take a look on some latest blouses made to look spectacular with these maggam designs. 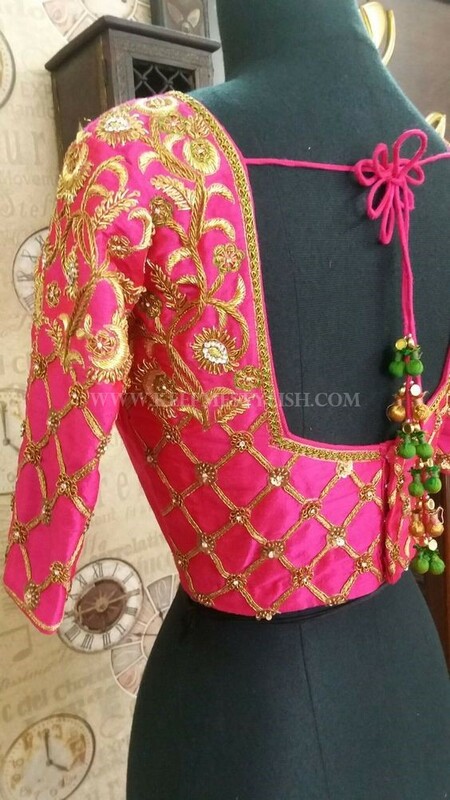 Here is a gorgeous long sleeve, deep neck raw silk blouse made to look stand out with zari thread work. The lower back and part of sleeve was adorned with diamond shaped boxes, while the shoulders are infused with heavy floral work. The visual proof of what a neat layer of pearl work can do to your saree is here. This is a usual short sleeve blouse but made into a party wear by dense adornment of pearls and white short kundan stones. They all are sewn together with zari thread. This is a simple maggam work blouse with just colorful contrasting threads made to create floral patterns and a chic tie back to add that extra notch of style. 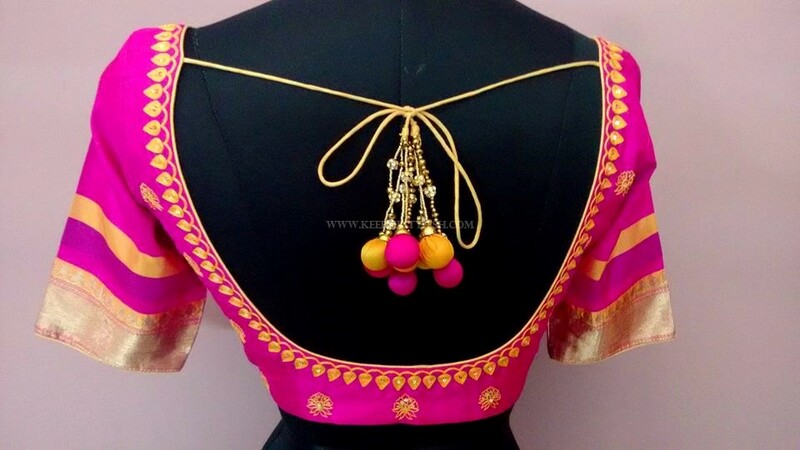 Imagine the below blouse without that dashing thread tie-up and the yellow leafy patterns. Totally blunt right? 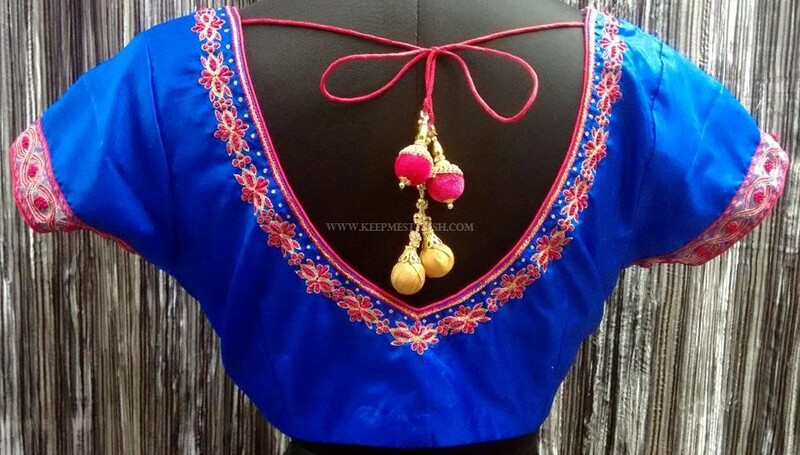 That’s why simple embroidery like these does have the ability to convert your blouse style totally. Those who are prepping up for bridal occasion should consider this simple yet stunning stone maggam work. Here plain white stones are used. You can even match these stone to saree border color or any other contrasting hue that would part a new look to your blouse. 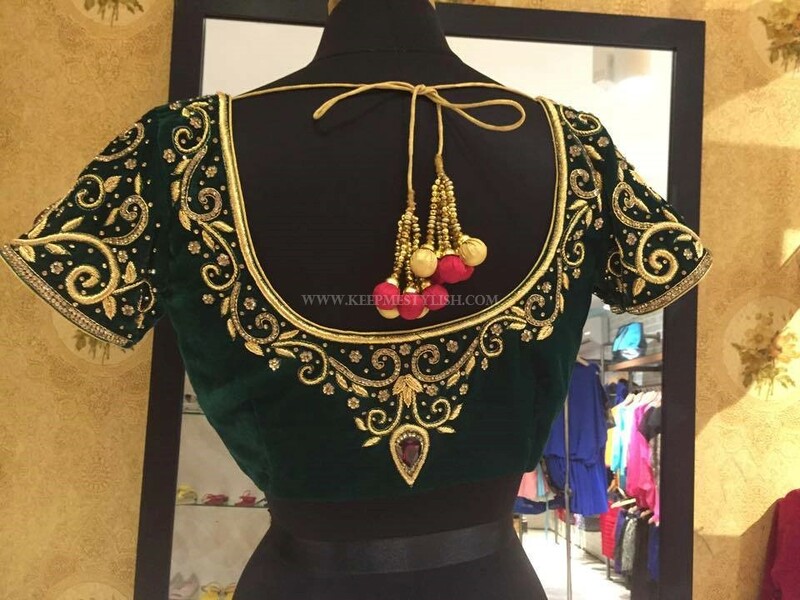 This is a kind of blouse that you can even wear as a formal one to office & college, and no one would notice that you are wearing something daring but would acknowledge that it looks great. 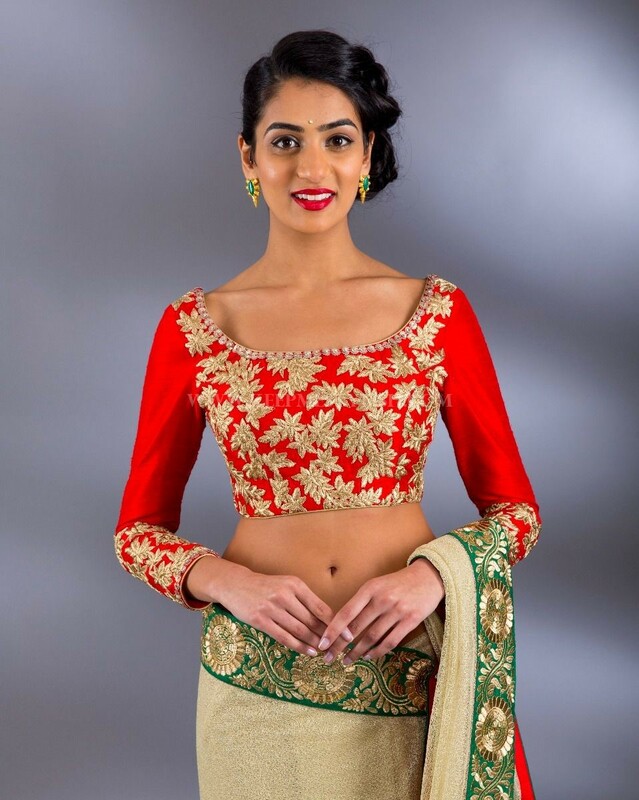 This simple and sophisticated blouse work can go well with any saree. 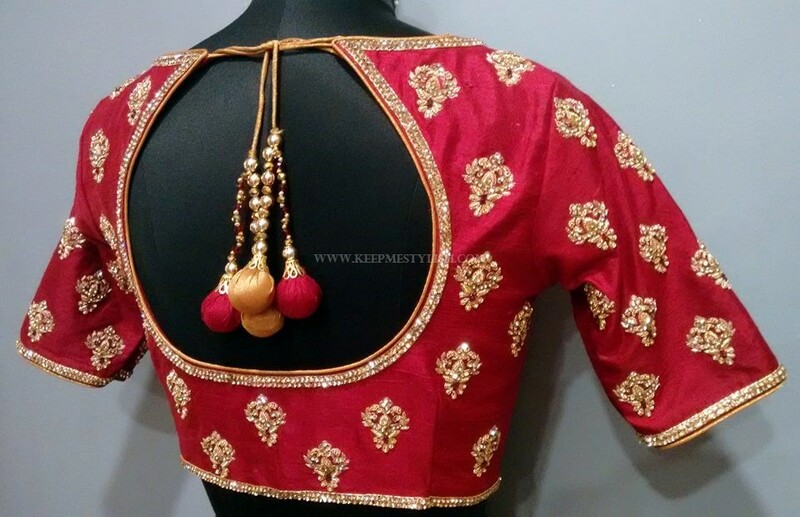 If you want a rich opulent blouse look, then get a maggam work with zari thread and a lot of sparkling stones on amazing pattern like the one below. Opt for a bold low back neck and let your tie backs add a fine finish touch to your blouse. This simple pattern is for those who don’t like to go heavy on their blouse design. 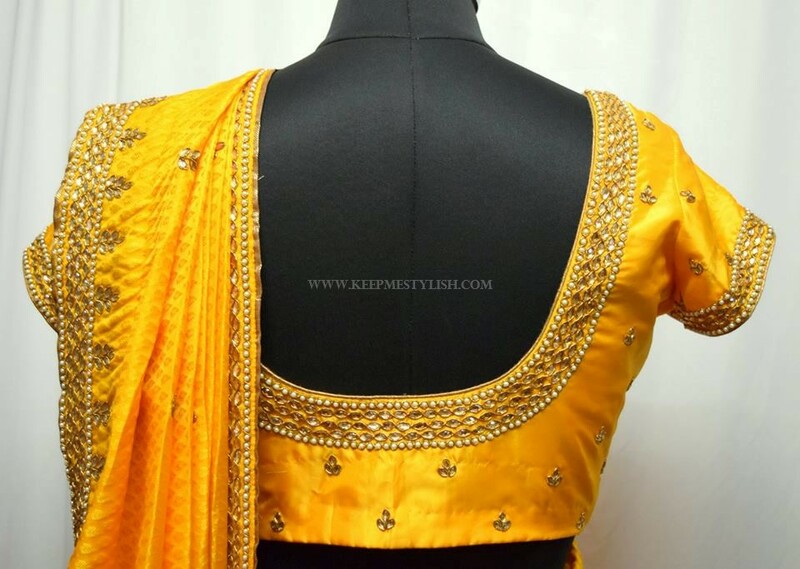 Either you can opt for gold zari thread or other colors for this model. 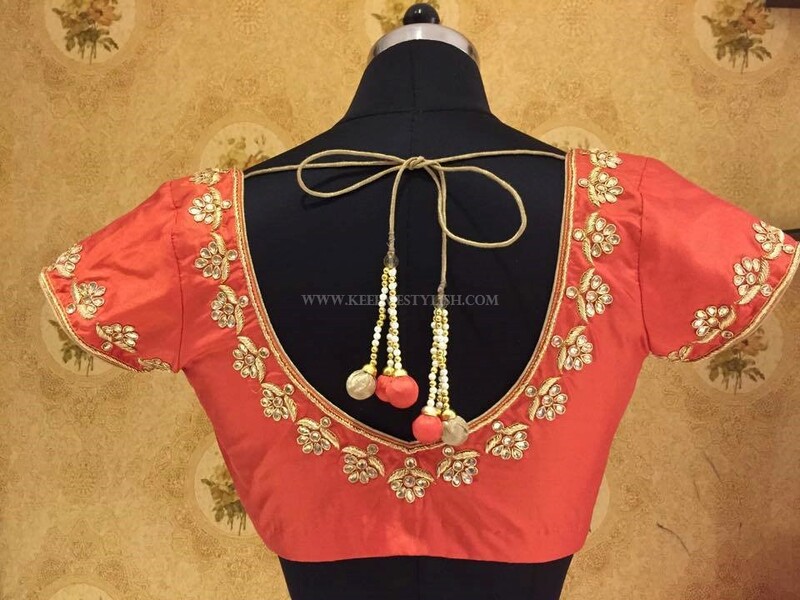 Here is another super gorgeous heavy work blouse that will look apt on brides and bridesmaid. 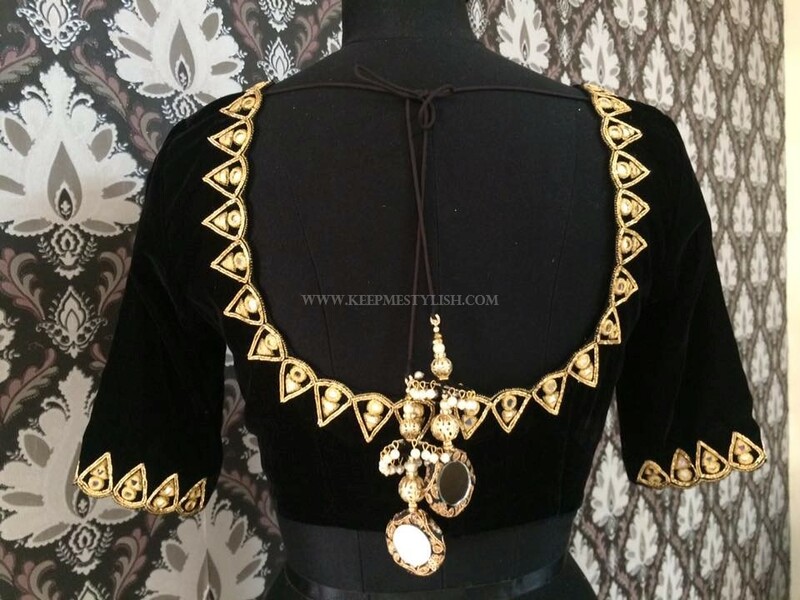 Lavish stone work done mercilessly over the entire blouse back and sleeve gives this one a royal look. 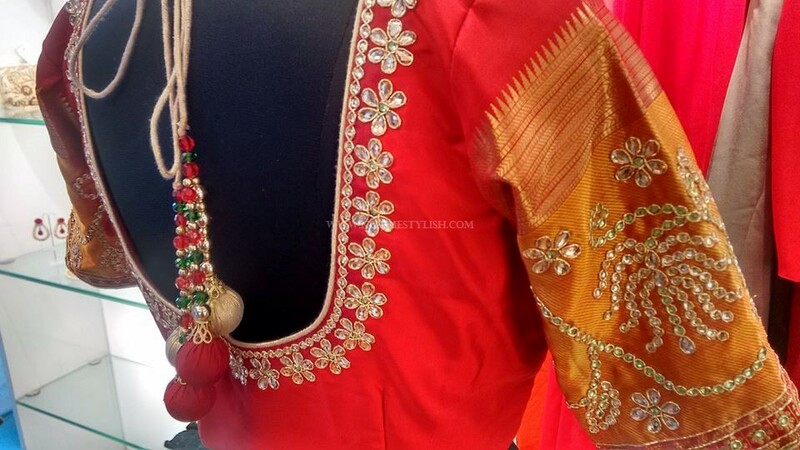 Beads are another interesting widely used embellishment in maggam work blouse. Either they can be used along with stones and pearls, or could just be used as a standalone option like the blouse below. Either way, these bead work blouse is sure way to steal the show. Give the dramatic boat neck line a boost with a vibrant thread work below. With a work like this, you can even skip your gold choker and necklace! We love the structured design used to highlight these blouse. 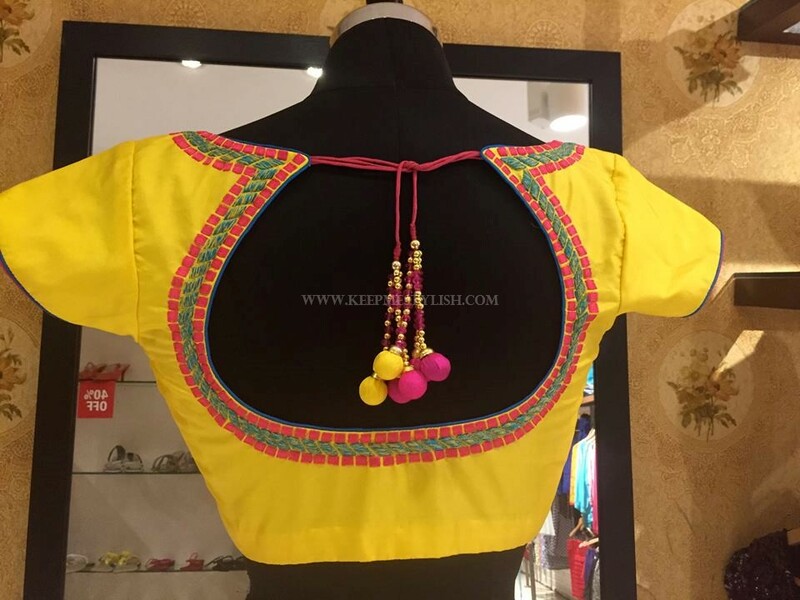 A contrasting yellow border donned with two layers of beads and a slightly dressed up sleeve add a notch of style to this blouse. 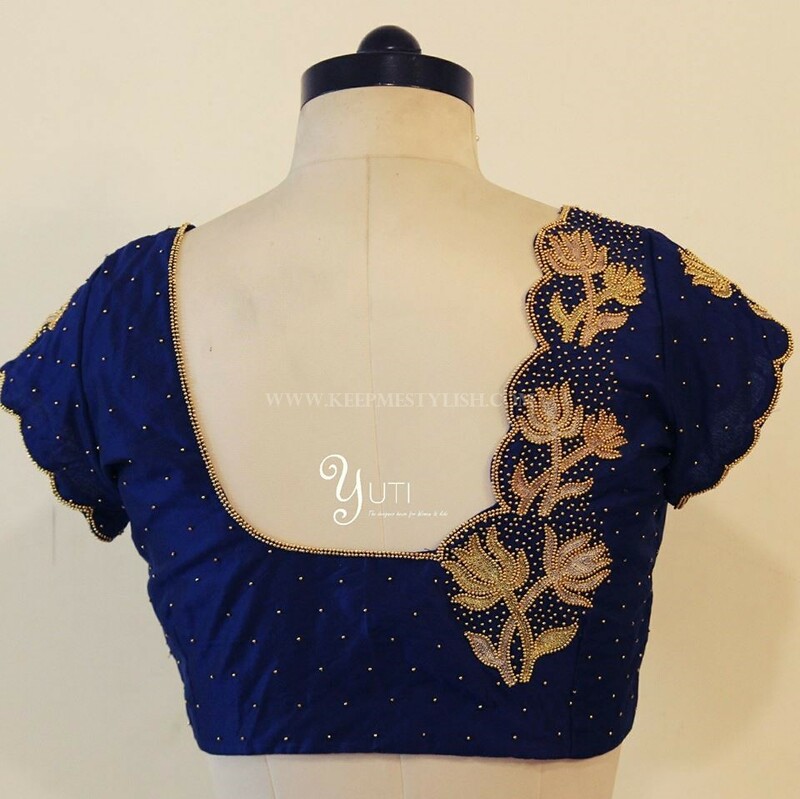 While many prefer to go for shinny and sparkly element on maggam blouse, we just can’t admire this mellowed zari thread dressings on this blouse back and sleeve. 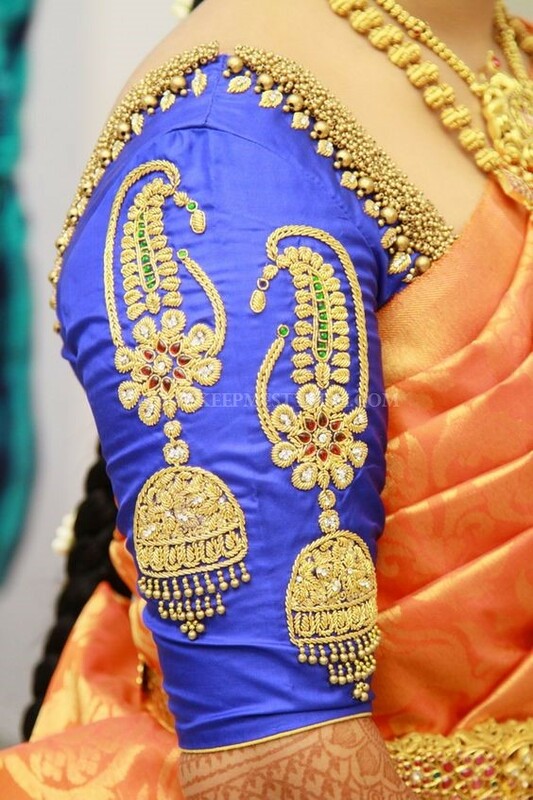 Here is another interesting maggam work that plays off beautifully on the sleeve and on the areas surrounding the neck. These heavy work are highlighted by keeping the lower back with minimal work. This blouse is given a modern spin with an addition of bold mirrors and sharp thread work. This is kind of pattern that you should consider for designer sarees. Having a full blown heavy work on blouse bodice and partially on sleeve is a nice way to make your thread work look standout and arresting. Sometime heavy work all over will crowd your style. So this will come as a better alternative. 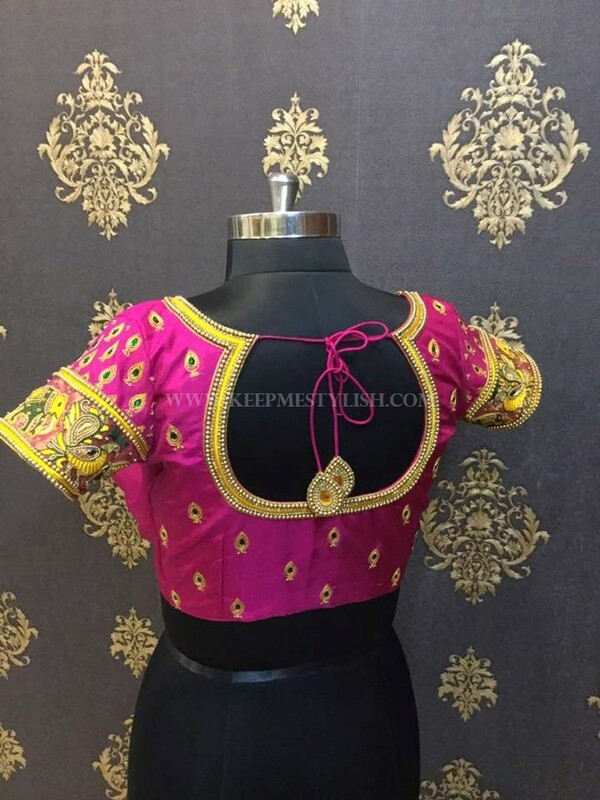 This customized blouse style will give you plenty of idea of what other innovative designs and patterns you can get it done on saree blouse. 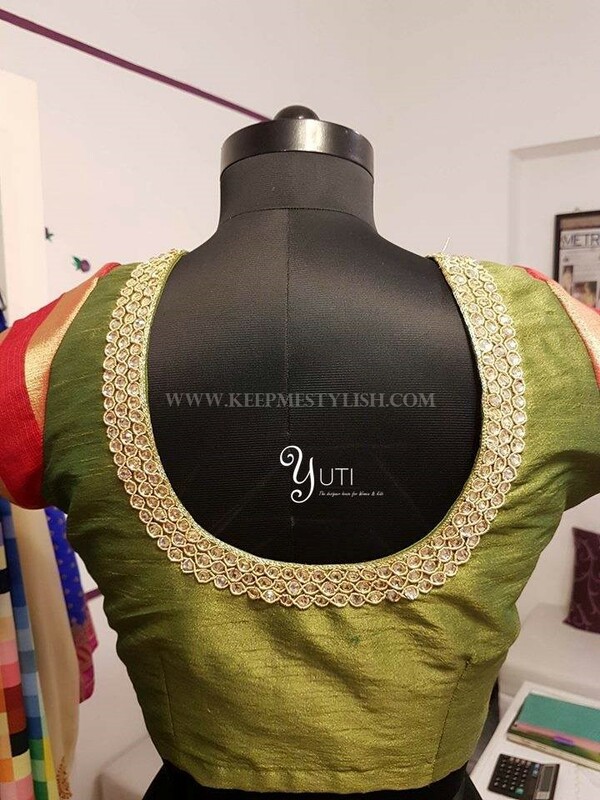 If you want your blouse to be remembered for the ages to come, get a blouse back neck like this one and make it catch all attention with an impeccable heavy maggam work like below. Below are two simple styles that can you try, if you are just testing waters and want a basic maggam work instead of all the heavy ones which we saw above. Besides silk, the maggam work would look mind-blowing on a velvet fabric. So if you are bored of silk, try this coveted work on velvet and see the magic unfold before your eyes. These are some latest maggam work designs you can try on your sarees. From simple to exotic designs, a lot can be done to your blouse to increase its elegance. 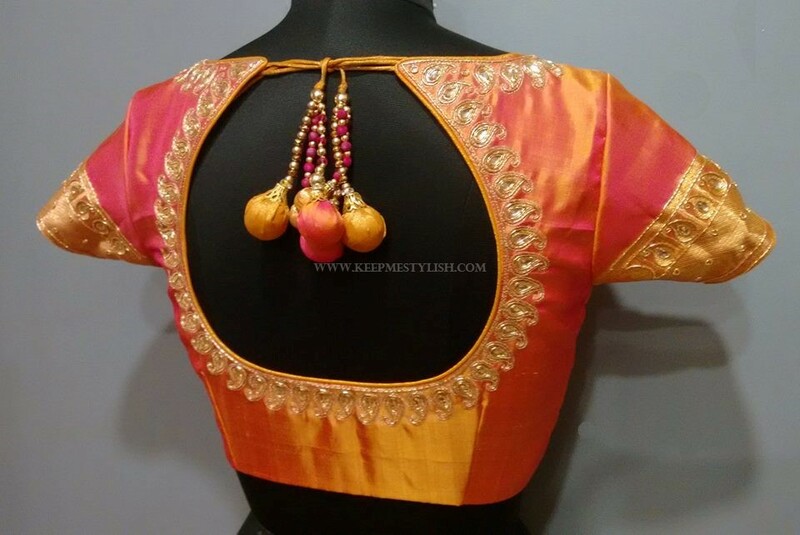 If you are struck with boring blouses, do try this one and spice up your saree look. In case if you like to get the maggam work done, but don’t have any clue on which shop/store to approach, then do drop an email to info.keepmestylish@gmail.com. We can help you in finding out a suitable shop based on the place you stay! Previous articleAlert: We have Found Cool Casual Kurtis Here!